Below you fill find all funeral homes and cemeteries in or near Albany. Albany is also known as: Hub of the Valley Grass Seed Capital Rare Metals Capital. Their current mayor is Mayor Sharon Konopa. Zip codes in the city: 97321, 97322. Linn County funeral flowers can be purchased from one of the local funeral shops we partner with. Some of the notable people born here have been: (lawrence t. harris), (roderick sprague), (clyde a. duniway), and (alexis (country singer)). Albany is the county seat of Linn County, and the 11th largest city in the State of Oregon. Albany is located in the Willamette Valley at the confluence of the Calapooia River and the Willamette River in both Linn and Benton counties, just east of Corvallis and south of Salem. It is predominantly a farming and manufacturing city that settlers founded around 1848. As of the 2010 United States Census, the population of Albany was 50,158. Its population was estimated by the Portland Research Center to be 51,583 in 2013.Albany has a home rule charter, a council–manager government, and a full-time unelected city manager. The city provides the population with access to over 30 parks and trails, a senior center, and many cultural events such as River Rhythms and Mondays at Monteith. In addition to farming and manufacturing, the city's economy depends on retail trade, health care, and social assistance. In recent years the city has worked to revive the downtown shopping area, with help from The Central Albany Revitalization Area. It was revealed on March 24th, 2019 that Bruce Hake passed away in Albany, Oregon. Hake was 80 years old and was born in Oceanside, CA. Send flowers to express your sorrow and honor Bruce's life. It was revealed by East Oregonian on March 22nd, 2019 that Emory Addison Moore passed away in Albany, Oregon. Moore was 69 years old. Send flowers to express your sorrow and honor Emory Addison's life. It was reported by Oregonian on March 1st, 2019 that Lorenz Myron "Lefty" Schultz perished in Albany, Oregon. Schultz was 81 years old. Send flowers to express your sorrow and honor Lorenz Myron "Lefty"'s life. It was noted by Register Guard on February 17th, 2019 that James W Johnson passed on in Albany, Oregon. Johnson was 88 years old. Send flowers to express your sympathy and honor James W's life. It was noted by Register Guard on February 7th, 2019 that Alfred Lee Lanz passed away in Albany, Oregon. Lanz was 75 years old. Send flowers to share your condolences and honor Alfred Lee's life. It was revealed by Register Guard on January 18th, 2019 that Myrtle "Grace" Goins (Dawson) died in Albany, Oregon. Ms. Goins was 78 years old and was born in Livonia Twp, MN. Send flowers to express your sorrow and honor Myrtle "Grace"'s life. It was written by The Chronicle on December 8th, 2018 that Alford E "Al" Smith died in Seattle, Washington. Smith was 74 years old and was born in Albany, OR. Send flowers to express your sympathy and honor Alford E "Al"'s life. It was disclosed on December 4th, 2018 that Reba Treichel (Woody) died in Albany, Oregon. Ms. Treichel was 77 years old and was born in Hazelwood, NC. Send flowers to share your condolences and honor Reba's life. It was noted by Register Guard on November 10th, 2018 that Richard Michael Ballini passed on in Albany, Oregon. Ballini was 51 years old and was born in Goleta, CA. Send flowers to express your sorrow and honor Richard Michael's life. It was noted by Register Guard on November 8th, 2018 that Berniece "Bunny" Mode (Beal) passed away in Albany, Oregon. Ms. Mode was 85 years old and was born in Port Orchard, WA. Send flowers to express your sympathy and honor Berniece "Bunny"'s life. The name Albany was restored by the legislature in 1855. 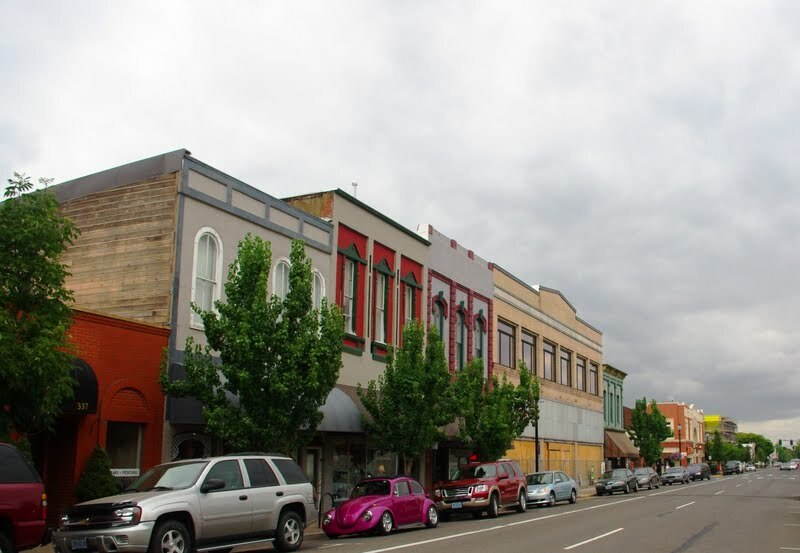 Although Albany replaced the community of Calapooia near Sweet Home, Oregon Home as the county seat in 1853,Corning, Howard M. The first school was built in 1851, and in 1852, the first steamboat arrived and the first flour mill was built. Albany post office was established on January 81850 and renamed to "New Albany" on November 41850. Albany was founded by the brothers Walter and Thomas Monteith, a family of early prominence in the area, in 1848, when they bought the claim to the townsite from Adverse possession Hiram Smeed for $400 and a horse. The official website for the city of Albany is https://www.cityofalbany.net/. Pyke, former owner of Pyke-Calloway Funeral Home in New Albany and R.D. Pyke Funeral Home in Henryville, remains in the Clark County Jail without bond. He faces 61 criminal charges in Clark County and six in Floyd County related to his funeral home business. Includes news, city calendar, community services, and more about the city of Albany located in California. We work with local florists and flower shops to offer same day delivery. You will find budget sympathy flowers in Albany here. Our funeral flowers are cheap in price but not in value.